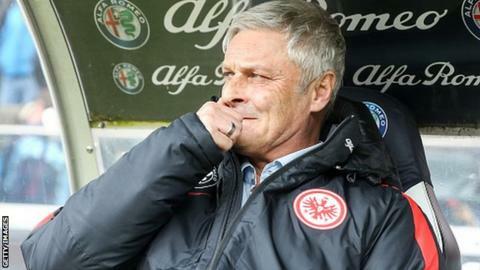 Eintracht Frankfurt have sacked manager Armin Veh after seven matches without a win has left them fighting relegation. Veh, 55, was appointed last summer but the club has won only five Bundesliga games and currently lie third from bottom in Germany's top flight. "We want to give the team a new impulse for the final matches of the season," said Eintracht chief executive Heribert Bruchhagen. Veh led Stuttgart to the 2007 Bundesliga title.